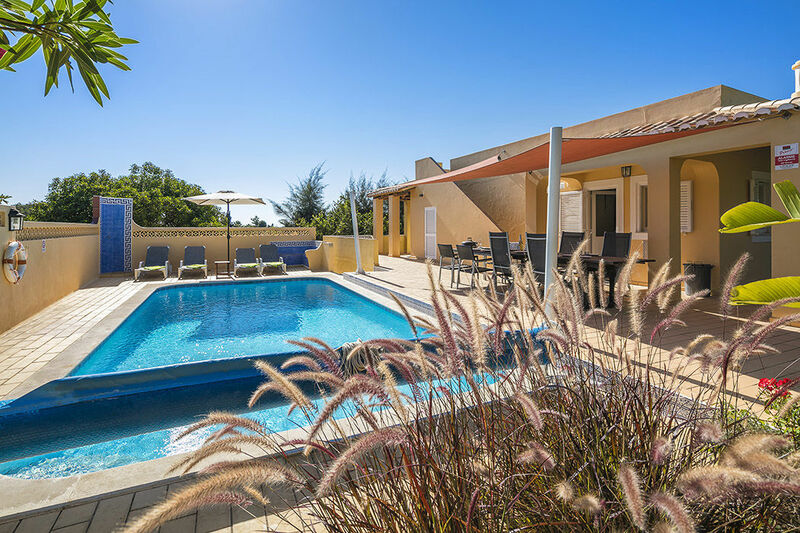 Vivenda Faria is a very comfortable villa located just 3 km from the center of the charming village of Carvoeiro. 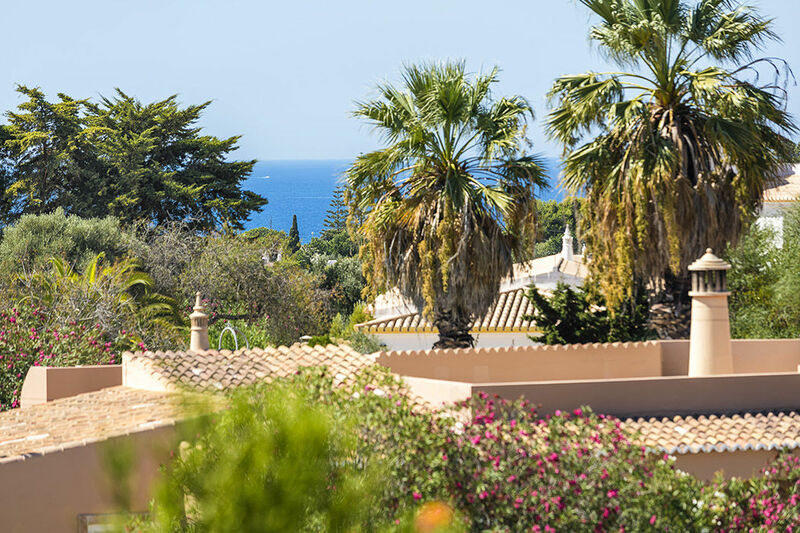 Naturally, this villa has its own private heated pool with several terraces and a very large roof terrace on top. On a distance you you can overlook from here Carvoeiro and the Atlantic Ocean. 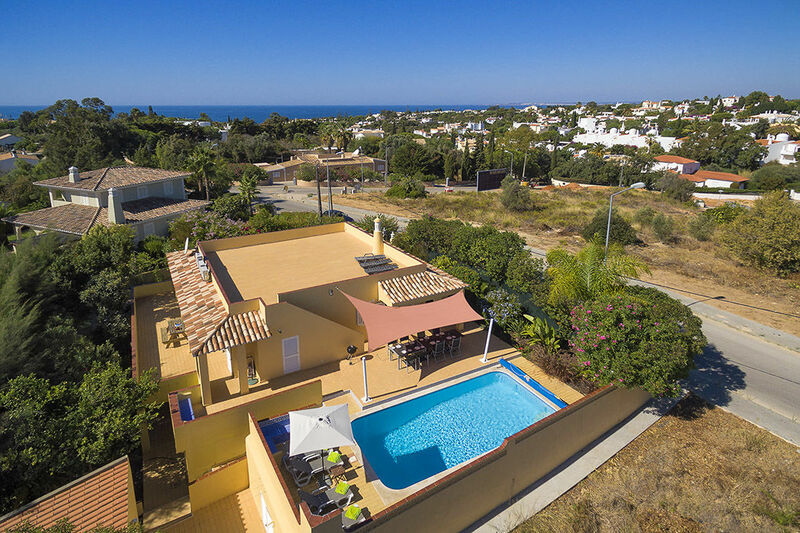 This villa is the perfect base for golfers (golf courses Gramacho and Vale da Pinta are just 5 km) and families who want to enjoy a beach holiday. The Centianes beach is only 1 km away. Just enjoy! Vivenda Faria is suitable for a maximum of 6 people and 3 babies. You enter the villa the living room. On your right you will find 3 bedrooms. A kitchen, a bathroom and and a separate toilet is also available. From the kitchen and outside you can go to the terrace and pool. From here, you can take the steps down to another covered terrace and the drive way. 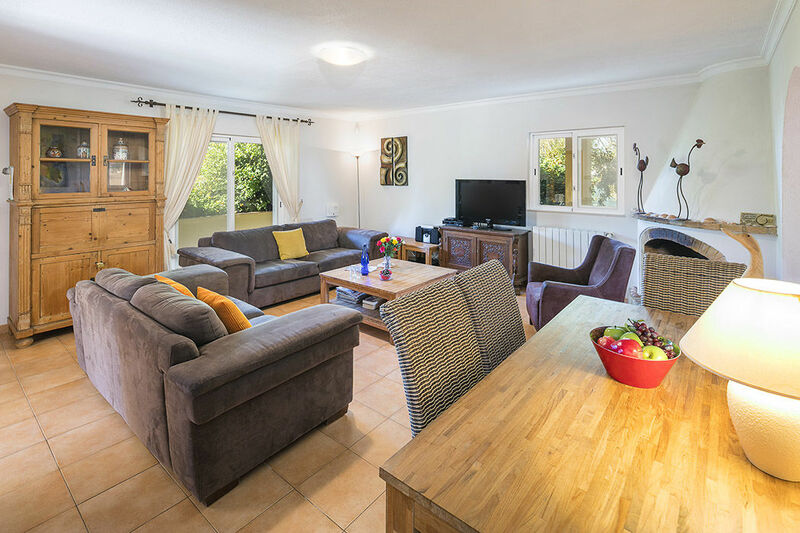 The living room of the villa area is furnished with comfortable furniture. The seating area can accommodate 6 people as well as dining table. 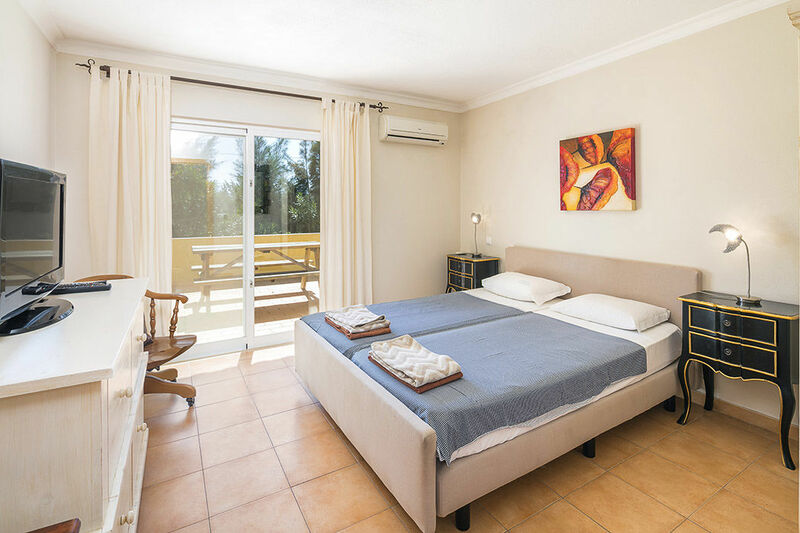 Furthermore, this room is equipped with air conditioning, heating, wireless internet connection (bring your own or laptop!) and Internet television with all international channels. 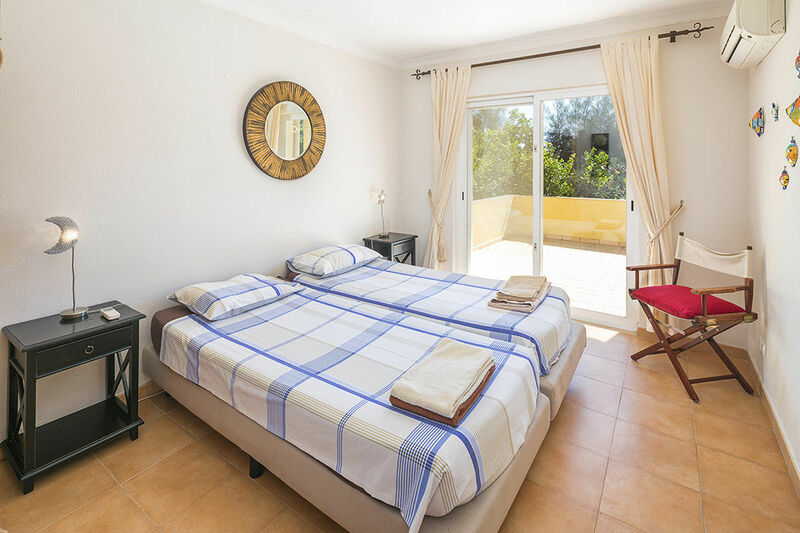 The villa has 3 bedrooms, all equipped with air conditioning. In the living room you will find an lcd TV with all International channels (IPTV), DvD player and a mini stereo. WiFi and a printer are also for you to use. The master bedroom has (Portuguese) satellite TV. 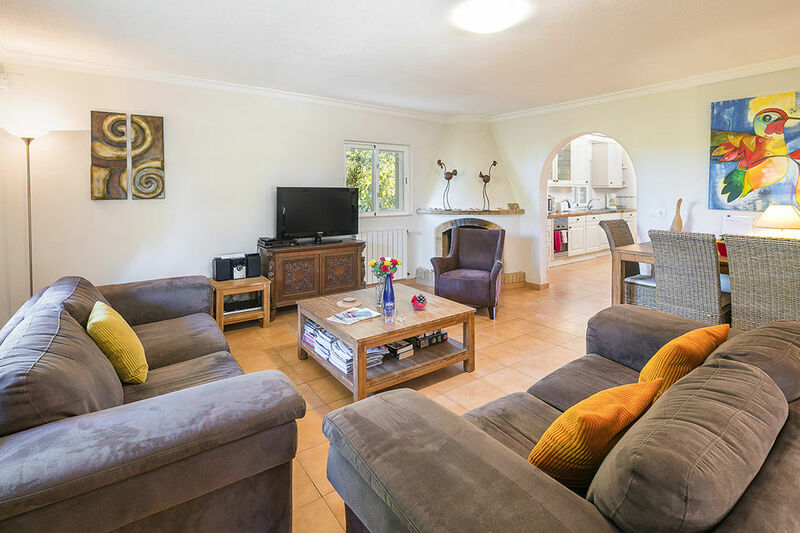 All 3 bedrooms open onto a terrace at the side of the house. One bedroom has a double bed. 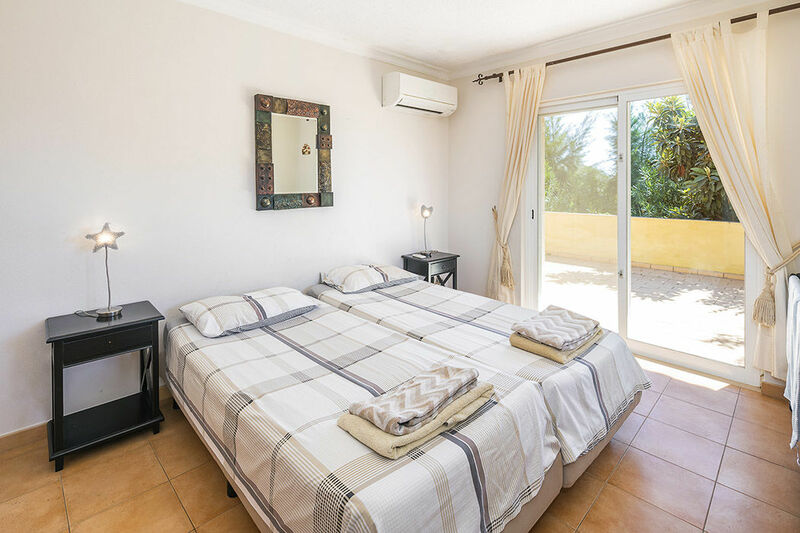 The other bedrooms have two single beds. There are 2 cots and a highchair available. 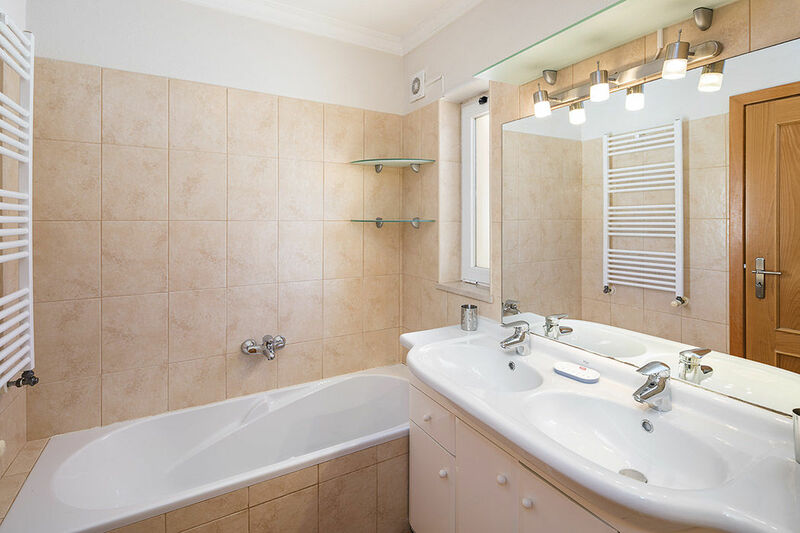 The accommodation has1 bathroom with bath, shower, double sink and toilet. A separate toilet is also present. 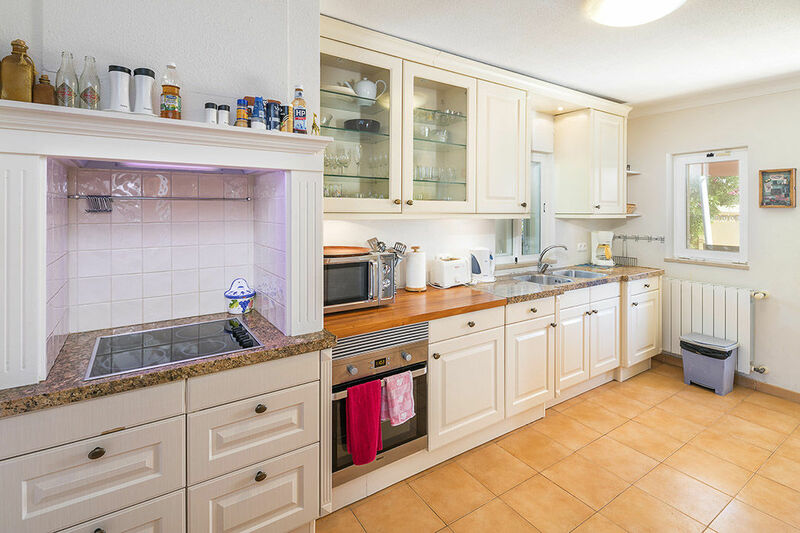 The villa has a spacious kitchen with a dishwasher, fridge/ freezer, coffe maker and other necessary kitchen equipment. The laundry room outside has a washing machine and a tumble dryer. 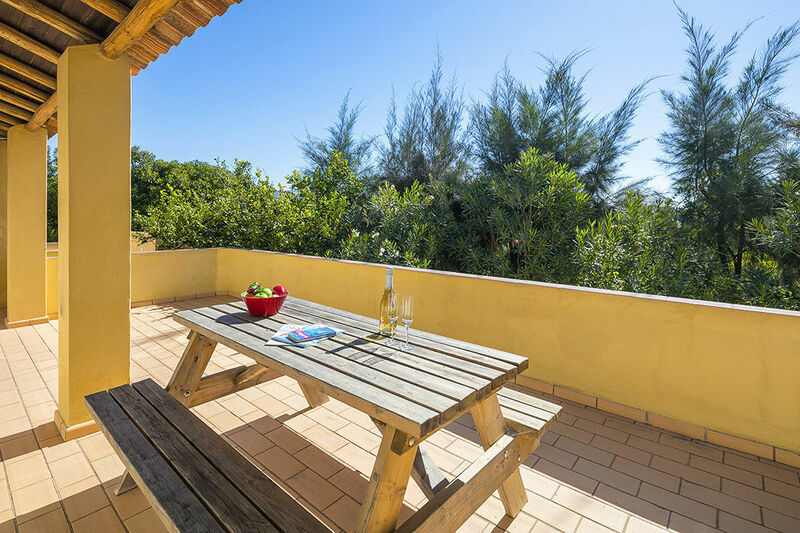 The main terrace of the villa is located near the kitchen and has two large tables with 12 chairs. 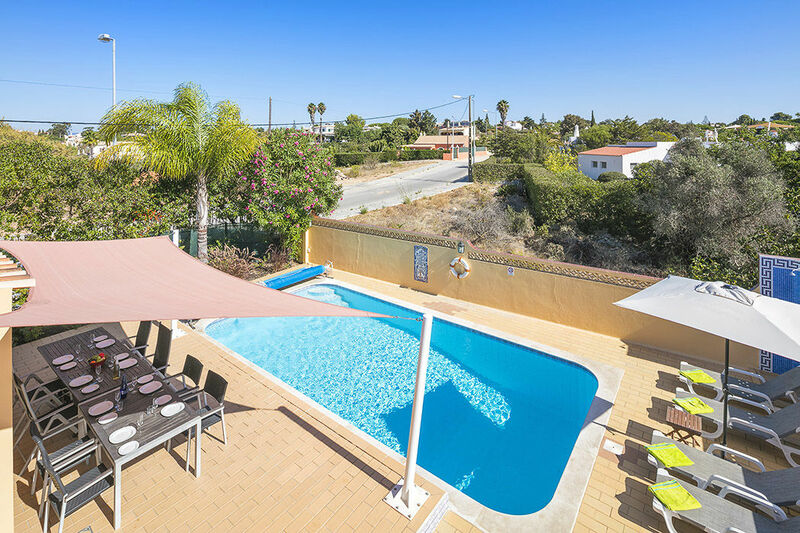 Here is also the pool where you can relax on the sun beds or can use the outdoor shower. 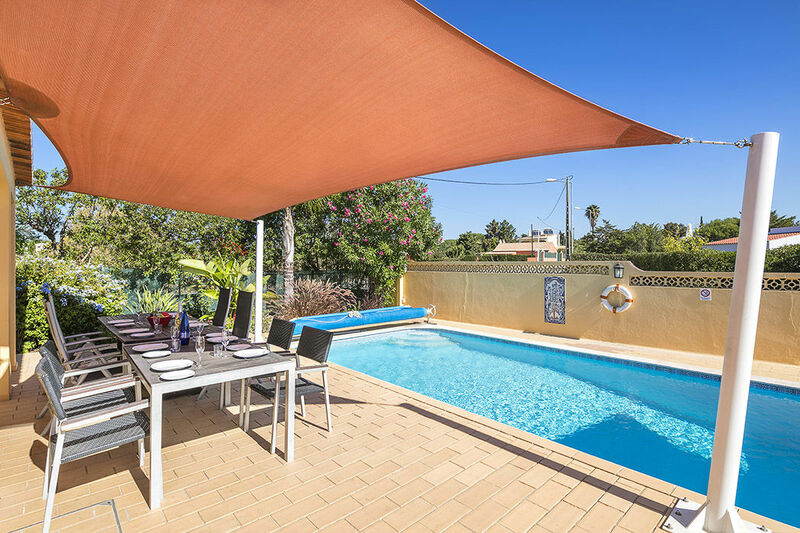 A large awning gives shade to the dining area. There is also a large roof terrace. Downstairs there is another terrace with a few sun beds. 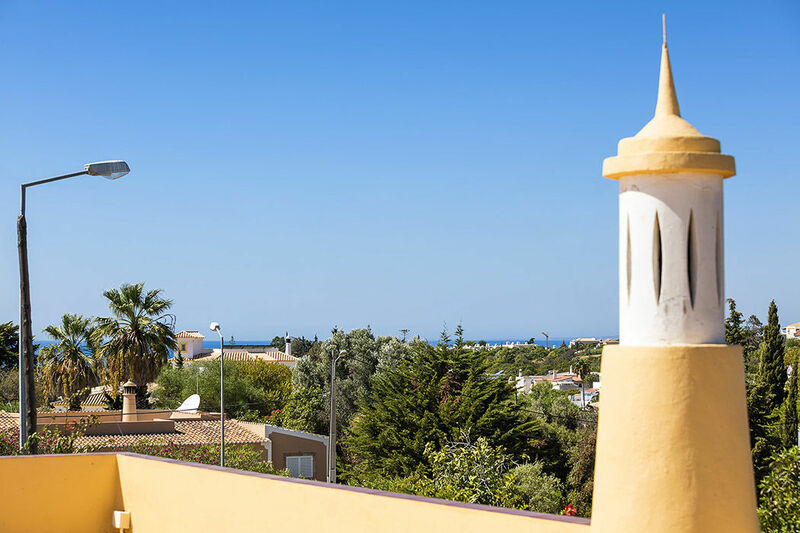 Vivenda Faria is close to the lively village of Carvoeiro and its beach in the city center, the many restaurants, bars and shops. The center is 2 km by car. A walk takes about fifteen minutes. Centianes beach is the nearest beach which is about 1 kilometer. Just a great central location! 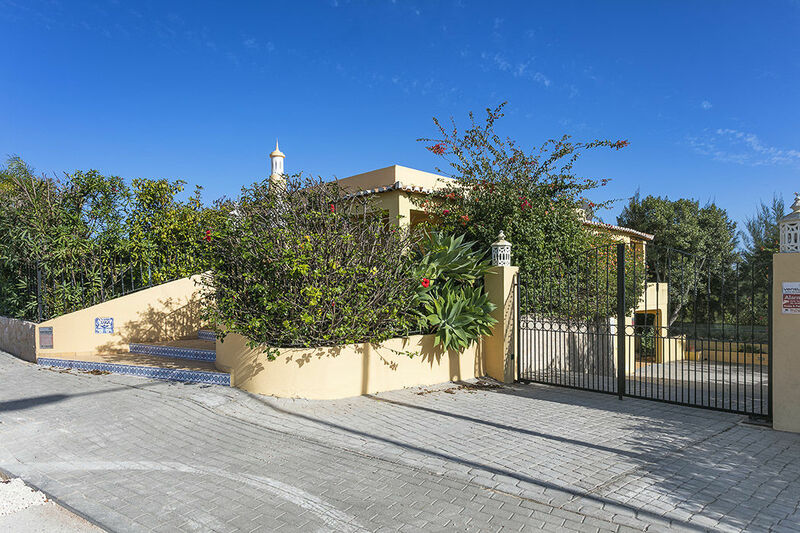 - The owner asks for a security deposit of € 300,00,-. - The pool can be heated. Wat een heerlijk vakantiehuis, zwembad en buitenterras top; voor herhaling vatbaar! Rustig gelegen en toch dichtbij alles. Super geregeld allemaal! Nogmaals dank aan Floris en team.